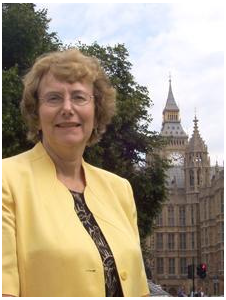 Earlier today, Annette Brooke, the MP for Mid-Dorset and North Poole, opened a Westminster Hall debate calling for a fairer school starting age for Summer-born pupils. The full Hansard transcript of the debate can be read here, and you can also view film coverage of the (4.00pm) debate here. On behalf of all parents with summer born children who are not ready for school age 4, and the many parents facing strong opposition from admission authorities, I’d like to thank Annette for doing such a sterling job. Thanks also to three other MPs present who all supported Annette’s views in their contribution to the debate. They are, Mr Mark Williams (Ceredigon), Duncan Hames (Chippenham) and Alok Sharma (Reading West). This entry was posted in CAMPAIGN UPDATES, EDUCATION COMMITTEE EVIDENCE, MEMBERS OF PARLIAMENT, THE DEPARTMENT FOR EDUCATION. Bookmark the permalink.